Florentines, nutty, caramelly & chocolatey, what could be more perfect? I don’t often buy florentines on the basis a lot on offer has orange peel in and that just isn’t right. Whilst surveying the treats in Waitrose I came across Thomas. 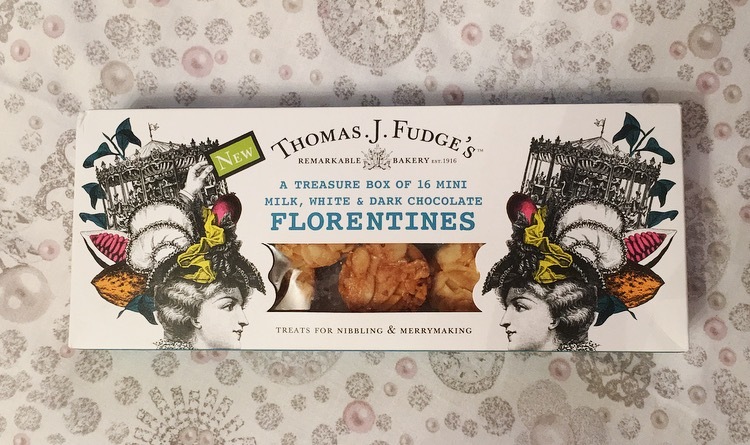 J. Fudge’s Florentines, and anything that promises a marvellous merrymaking treasure box is something I cannot pass up. 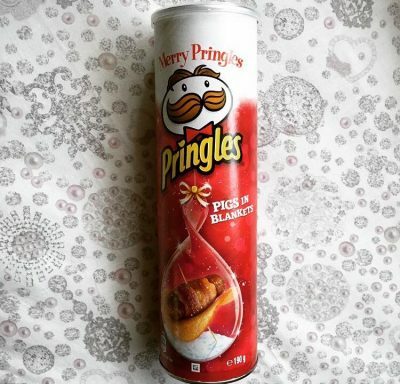 First off I love the packaging! This treasure box consists of 16 petite milk, white and dark chocolate florentines presented within a cardboard and plastic tray. These little florentines are beyond cute and each were pretty much exactly the same size, thickness and amount of chocolate coating. The box does suggest they are perfect for sharing but unfortunately there was no-one about, what a shame…. So over a cup of Tetley tea I munched my way through each chocolate number. Seriously moreish, each florentine was deliciously chewy from the glossy caramel, the hazelnuts and almonds varied in size but were evident and come through with each bite, and the chocolate, albeit missing the signature wavy lines, was smooth and not at all synthetic or cheap tasting. My favourite was definitely the milk chocolate, the flavour and ratio was on point and complemented each other perfectly. The dark chocolate was the prominent all you could taste flavour and a tad off balancing, but still rather yummy. Oddly I thought the white chocolate florentine would be overly sweet however this wasn’t the case. To be honest it was pretty non-describ, I couldn’t really separate it from the nutty caramel and wouldn’t have known there was white chocolate on it had I not seen it. So in my eyes not really a florentine. If you don’t want a mix of chocolate, Thomas. 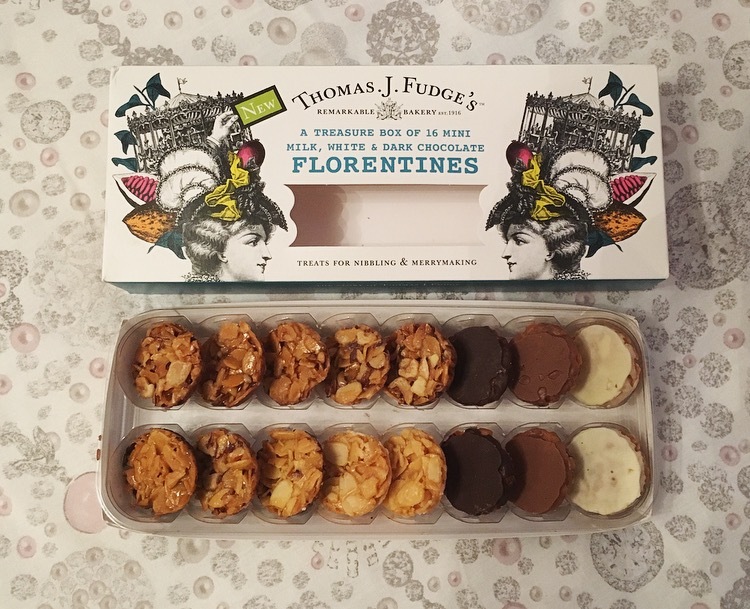 J. Fudge’s Florentines also come in larger form and in separate boxes. 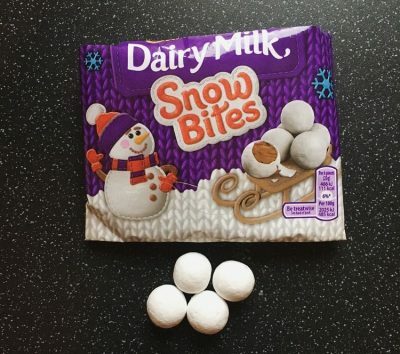 I would definitely buy these again, I like the option of the mixed boxes to give some variety yet I would equally be swayed by the larger milk or dark ones. Bravo Thomas. J. Fudges, finally some yummy florentines without orange peel!